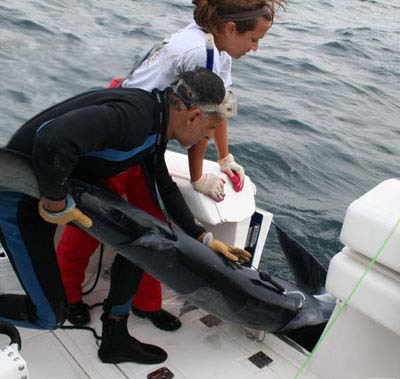 Choosing a deployment duration is a critical aspect of any study that will vary with project goals and focus species. Deployment duration represents the amount of time from deployment to the initiation of the pop-off release mechanism. Tags with High Rate programming are designed for short-term deployments (<30 days) to record high-resolution depth and temperature data. Though light data are collected, no geolocations are provided. High Rate programming is ideal for studies focusing on post-release mortality and understanding fine-scale vertical (and thermal) habitat use. For High Rate programmed tags, deployment duration will determine the temporal resolution of the depth and temperature records. For example, a tag scheduled with a 30-day deployment duration will record depth, temperature, and light-levels every 5 minutes (approximately) while a 15-day deployment will record these data every 2.5 minutes (approximately). X-Tags programmed with Standard Rate programming record ambient light levels, depth (pressure), and temperature at 2-minute intervals. The subset of depth and temperature data available for transmission varies with deployment duration (see Compression Techniques Used in Standard Rate Tags for more information). PSAT PTT-100 Tags programmed with Standard Rate programming record ambient light levels, depth (pressure), and temperature at 15-minute intervals. The depth and temperature data available for transmission and extraction varies with deployment duration (see Compression Techniques Used in Standard Rate Tags for more information). We recommend using the shortest-possible deployment duration to meet study objectives.